As much as we all pray for a straightforward labour or birth, this is not really something that can be planned ahead. 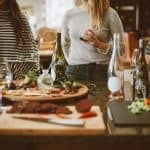 You are too exhausted and need a little help to make delivery easier. Both ventouse and forceps assistance are considered safe by the NHS and are only used when necessary for you and your baby. If you have had problems in pregnancy and are already booked in for a Caesarean section, then you should have already been given all of the information and facts about how and when it will happen, and what is involved It is a good idea to ensure you have a family member or friend who can step up and help out with childcare if you already have other children in the event that you have to stay in hospital longer than planned. Always pack your hospital bag to cater for at least one overnight stay, and make sure that your partner or someone else knows where to find any extra items that may need to be brought to hospital for you or the baby if needed. Don’t be afraid to ask questions at your antenatal appointments about things you may be concerned about. I have had 3 children and 3 C-sections. My first was an emergency one after a very long labour that failed to progress. I was advised that it was my only option to get me and the baby through the birth safely. I felt pretty rubbish about it at the time and comments from others didn't help at all. Did I feel like I’d ‘missed out’ as didn't deliver naturally? 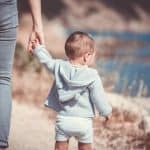 Initially I did, but when the safety of me and my baby was in question, then it was a ‘no-brainer’ for me and my husband-we had to go with the advice. After chatting to my consultant about all the pros and cons, I decided it would be safer for me and my baby to go for an elective section. I didn’t have any issues or have a strong desire to go through natural labour and birth to make myself feel more fulfilled as a mother. I was happy to go ahead and have another C-section. For me and my baby personally, based on my experience first time round, I felt it was the best and safest decision. It was as straightforward as it could be and my second healthy baby boy was bought into the world. When pregnant with my third child I already knew I would be having a C-section. I was booked in for one a week before my due date-8th April. However the night before I began having mild pains and assumed they were Braxton Hicks as already experienced lots of those. I went to bed but couldn’t settle. The pains continued and I began clock watching. 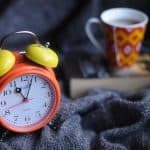 By 3am I noticed I was getting a pain every 30 minutes. We were due to be at the hospital at 7:30am anyway to have all my pre-op care. 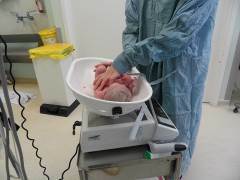 At 6am I had to take another pill that the hospital had given me for the C-section preparation and by then I knew I was in labour as the pains had progressed to coming every 15 minutes. I phoned the hospital and updated them and they told me to come in now and not wait until 7:30am. My mum had been staying over as we knew I was going in hospital any way, so she stayed to look after my older boys. We got in the car and had a very rough (for me) 15 minute journey to the hospital and by the time we arrived my contractions were coming every 10 minutes. The walk into the ward to get changed and then down onto the delivery suite had progressed them to every 5 minutes. 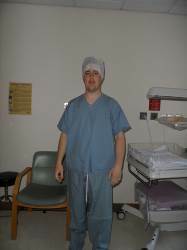 The midwives decided to strap me to a monitor to observe the contractions while the theatre staff were called-that was the longest half an hour of mine and my husbands life and he was told to get ready for me to go into theatre. He was more worried he would be delivering our baby as I was barely able to rest between contractions. My contractions continued to progress and by the time the midwife came to check the monitor 30 minutes later they were coming every 2 minutes. 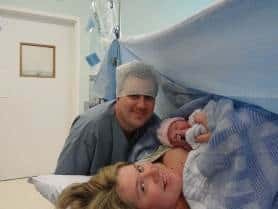 Because I had already had two previous sections my consultant didn’t feel it safe to allow the labour to progress naturally so rushed me into theatre for an epidural and what ended up being, another emergency Cesarean. Our beautiful daughter was born soon after. I was very lucky to have positive birth experiences in the end with all three of my children-maybe not what I had originally thought would happen, but I adapted to the circumstances and it all went well in the end. You haven’t failed if you don’t stick to your original birth plan, you have simply adapted to the circumstances surrounding you at the time. There are no prizes for going through all that pain with no help. If you need pain relief then ask for it. The important thing is that you and the baby come out of it healthy and relatively unscathed at the end. I hope you enjoyed reading about my labour and birth experiences. What was yours like? Please Like or Share if you found this post helpful, it might help a friend too! I had 3 completly different labour and birth.my 1st was 27 hours long and difficult had what I could take epidual at the end. She had to be vaccumed out. On my 2nd from start to finish was 7 hours long. Wasnt able to have epidural as it was a busy night. But when it was done I was delightef to have done it without epidural. But had plenty of gas The 3rd was completly different. For this pregnancy I went with midwife care only. Wasnt involved with doctors at all as it was syraighford pregnancy and no previous problems. My labour was about 3hours. I just barely made it in the hosiptal. I really wanted to do in birthing pool but there was no time. Was in hosiptal one hour and I had given birth. This by far was best birting experience. The midwifes were fantastic. They encourage you to go with how your body is feeling and was no pressure to do anything unless you wanted it. It was more calming and relaxing as you can get despite the pain.! Again just had gas. Though during “the ring of fire” I was wishing I had an epidural ☺ if I was to have a 4th (which I most definitely not) I would love to have my birth with midwifes again. But if you have any sort of problem during the pregnancy they cant keep you in their care and have to sign you off to doc which is a shame as I trust them more than doc. Plus when you do go to give birth you actually dont have a doc in the room unless theirs a problem with the labour…. dont know if this is the same in england?